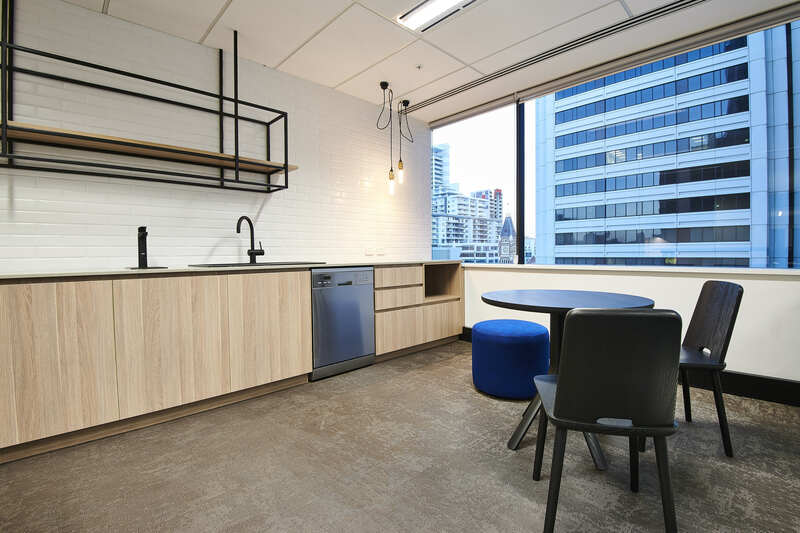 Aurora was engaged by CBRE and the client Investa Property Group to create two tenancy show suites, a tenancy base build upgrade and refurbished bathrooms and lobby on Level 6, 66 St Georges Tce. 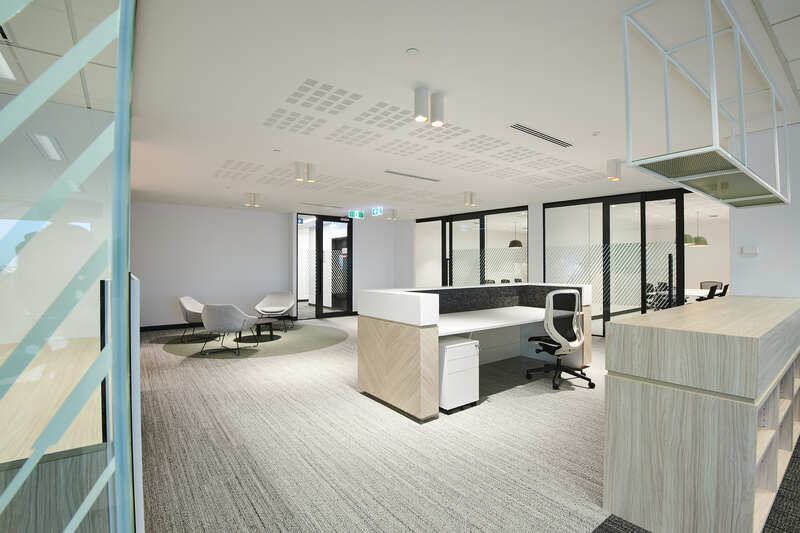 Tenancy A – Base build upgrade consisted of demolition, new ceilings and carpets and new services – creating a space that a prospective tenant would be able to implement their own corporate fitout design. Tenancy B and C were speculative suites designed to inspire tenant leasing and provide cohesive, functional workspaces. The show suites were designed in opposing materials and finishes, with both suites containing meeting rooms, offices, open plan work areas, receptions, small breakout areas, utilities areas and kitchen. Scope of work included: Demolition, flooring, walls and ceiling, joinery, electrical services, mechanical services, fire services, blinds and curtains, glazing and installation of workstations. The works were completed over a period of 12 weeks with trades working progressively through the three areas, with consideration to noisy works due to the building occupants. 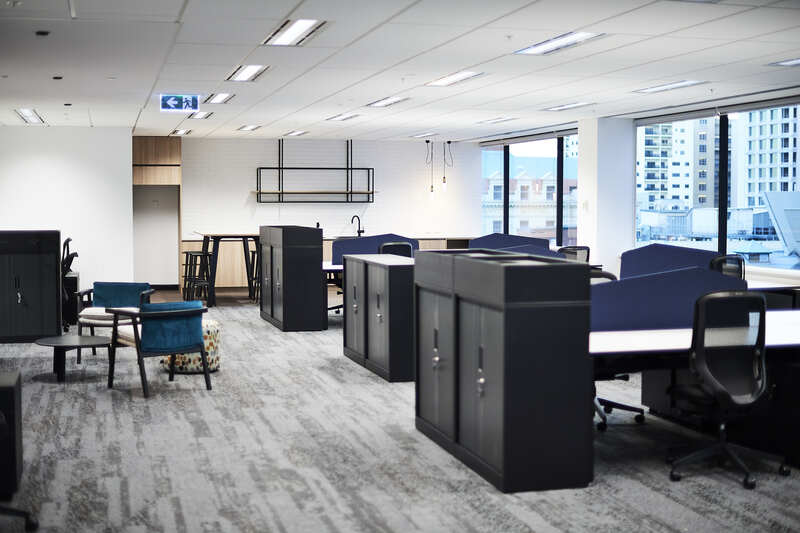 Delivery of high quality fitouts was an essential part of the Investa strategy for increasing building occupancy, and through consistent communication with the designer – IA Design, and PM – CBRE, Aurora ensured this outcome.